There is a disconnect between customer’s expectations and the practices currently in place from social media professionals, and the customer is suffering because of it. Business owners and social media managers, it’s time to start responding to all of your negative online reviews. In September 2012, Convince & Convert conducted a study about the effectiveness of customer support on social media websites such as Facebook and Twitter. It concluded that 42 percent of consumers who contact a business through social media for customer support expect a response within one hour or less, even on weekends. We weren’t the only ones who were curious. @ReviewTrackers Any insight in the consumer’s expectation in a co.’s response time for reviews written? Greater than Tw, FB, etc? Based on Convince & Convert’s research, we decided to find out how long consumers expect a business to respond to an online review. After all, online reviews are social media. We were curious if customers expected a similar response time to online reviews as on social media, which Convince & Convert’s Study determined to be within 60 minutes. As it turns out, 48.3 percent of customers don’t expect a business to respond to their online review. The other 51.7 percent of customers expect a response in seven days or less. 1. Have you ever left a negative review on Yelp, TripAdvisor, or Google? If the consumer responded “yes,” then they answered the next question. 2. What is the amount of time you expect to wait before the business responds to your negative review? Of the 152 respondents to the second question, only 24.6 percent expect a business to respond to their online review within three days. What’s really surprising, only 21 percent expect a response within 24 hours, and just 6.1 percent of those surveyed expect a business to respond within seven days. We were curious about these results. If customers are not expecting a response, why wouldn’t a business want to exceed their customer’s expectations? Or, even a better question, why leave a review at all? If the customer wants to share their negative experience as a warning to potential customers, it seems they should definitely be expecting a response from the business. Who’s on the wrong side here? As businesses, we are more limited with online review websites than we are with social media. Most social platforms can notify businesses immediately of a customer complaint, whereas most review websites are limited to notifying every 24 hours, as the website holds reviews to ensure quality and authenticity. This is where the “filtered” reviews on websites like Yelp come into play. However, the basis of Convince & Convert survey showed 60 minutes is the expected response time on social media channels. Customer’s are giving feedback and are clearly anxious to receive a response. To help makes sense of this social media/online reviews disconnect, we turned to the experts. We asked chief marketing officers, business owners, and authors how long customers should wait for a response to a negative review. Nearly all of them agree it’s essential to respond to customers’ concerns quickly and the general consensus is within 48 hours. 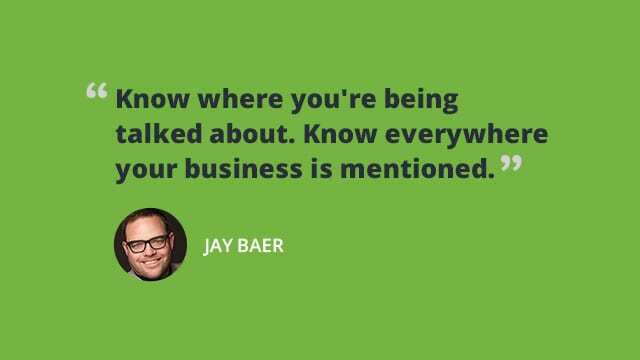 Jay Baer, founder of Convince & Convert — the authors of the study that inspired our research — shared his advice about businesses responding to customer feedback. Baer said that in order for a business to prepare for social media and online reviews, a business must know where they are being talked about. And customers expect a business to respond to them in “approximately 24 hours” on review sites like Yelp, TripAdvisor, etc., Baer said. Responding to negative reviews is one of the easiest ways engage with your critics, learn from the customer first-hand, and showcase goodwill with your vocal customer-base. Sure, the success of your company does not hinge on the voice of one customer. Responding to them quickly shows all future reviewers they will not get away with posting a paltry negative review without consequence. The tone you take in the response can extend the conversation the customer has chosen to take part in. The attitude you take when addressing customer issues defines your customer success, a lesson that extends to social media of any kind. You can utilize the feedback the customer has given you, and follow up with the parties involved. Then determine if the problem the customer raised as cause for the negative review could have been avoided. Look closely at the issues and take note of the solution, so you can follow up with the negative reviewer. After all, you have up to 48 hours. The customers are having a conversation about your brand. Responding can make a huge difference on the impact of the negative review and enable your business to pinpoint a problem you might not have noticed otherwise. Join the conversation. I feel like some people leave negative reviews just to let the world know about their experience and ward off other people from going. But an equal number of people want a resolution to the problem they experienced with the business to perhaps give it another chance. Either way it is important to respond to reviews to show your customers you care about their experience at your business.